Pursuant to the New York Business Corporation Law Sec. 1708(a), a benefit corporation must deliver to each shareholder an annual benefit report and pursuant to Sec. 1708(d) deliver a copy of the benefit report for filing to the Department of State for filing. Pursuant to Sec. 1708(c), a benefit corporation must post its most recent benefit report on the public portion of its website. This Benefit Report for Year 2013 for knowwhereyourfoodcomesfrom.com, Inc. has been prepared by its incorporator, Frank W. Barrie. As of the date of the preparation of this report, knowwhereyourfoodcomesfrom.com, Inc. has no shareholders. The incorporator, Frank W. Barrie, is the President and Secretary of the benefit corporation pursuant to organizational meeting resolutions dated August 22, 2012. The mission of knowwhereyourfoodcomesfrom.com, Inc. conforms to the mission statement set forth on the website www.knowwhereyourfoodcomesfrom.com, i.e., to promote local agriculture by encouraging consumers to eat locally grown foods, which are produced in a sustainable and healthy way, or “organically” grown, so as to preserve and support small farm economies and to ensure a healthy environment for future generations. The Benefit Corp Information Center (www.benefitcorp.net) provides guidance on selecting a third party standard. Utilizing this guidance, the third party standard to assess the social and environmental performance of knowwhereyourfoodcomesfrom.com, Inc. was selected. Food Alliance (www.foodalliance.org) provides comprehensive third-party certification for social and environmental responsibility in agriculture and the food industry. 6. Guarantee food product integrity, with no genetically engineered or artificial ingredients. (5) Gardening topics including community gardens, home food preservation, container gardening, gardening tips and edible garden design/install. The content appearing on the website www.knowwhereyourfoodcomesfrom.com is in harmony with the six principles of the Food Alliance certification program delineated above. 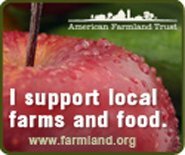 These 4 organizations/entities reflect principles in harmony with the six principles of the Food Alliance certification program delineated above. The benefit corporation has not yet issued any stock.